Welcome to Big Sam’s Bar. Might I interest you in a pint of fine wine? I’d be quite happy with that but it’s when the glass gets empty and our waiter for the evening brings out the gravy boat for chasers and insists we finish all of it that we naturally start looking for a way out. There is however no exit. Big Dunc’s stood by the door with his arms folded and there is only the prospect of mouthful after mouthful of Big Sam’s lumpy meat sauce in our immediate future. And now we’re looking for someone, anyone, to blame as we cough up the vile brown mess inside us. Wine and Gravy? Who’s stocking this bar? 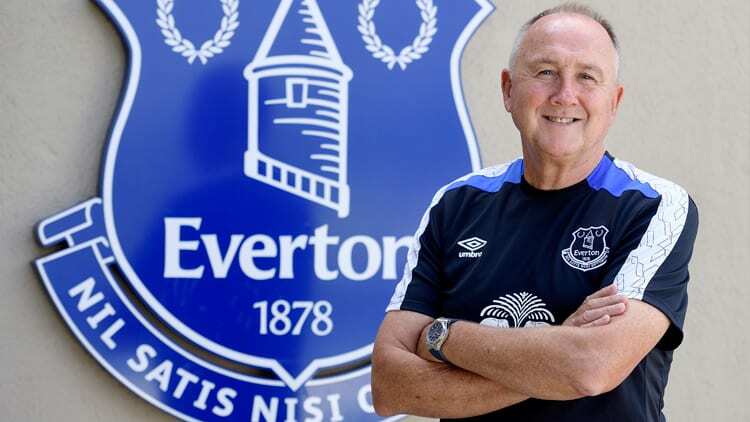 Step forward Director of Football Steve Walsh. Back in 2016 Mosh swaggered over to the Champions gaff at King Power Stadium, pulled out his money clip and just took what he wanted. The guy who followed him back up the M6 was Steve Walsh. A man who reportedly played a big part in recruiting the main men in that utterly weird season. The aforementioned main men were Mahrez, Vardy and Kante. The trio were rightly heralded as the stand out performers in Leicester’s stranger than fiction Premier League winning campaign. But how good were these signings at the start of their Leicester careers? Mahrez joined Leicester on 11 Jan 2014. He spent a month or so making substitute appearances in the Championship before being considered ready to start games and he finished the season with 19 appearances and 3 goals. His first Premier League appearance was 16 August 2014 with his first goal coming two months later. He ended his first PL season with 4 goals and 3 assists in 30 appearances. The following year, a full season and half since signing is when we see the Mahrez that blew teams away in Leicester’s title winning season. Vardy joined in May 2012 and managed 4 goals in 26 games. There was a period of poor form, sections of the support considering him not good enough to make the step from Conference to Championship and the player doubting himself and considering quitting football altogether. He was persuaded to stay by Leicester manager Nigel Pearson and his assistant Craig Shakespeare. 2013/14 saw Vardy bag 16 Championship goals and win Player’s Player of The Year as Leicester finished top and got promoted to the PL. During 15/16 in his first PL season he showed some spells of decent form but he finished with an unimpressive 5 goals in 34 games. Like Mahrez it was the following 16/17 season, after 4 years at Leicester, that he came into his own. Kante? Alright then. He signed in August 2015 and was pretty much boss right away. So what’s the point in all this? Walsh has been here a little under two years. Quite correctly there are question marks over several of the players brought in during his spell as DOF but given the issues that the club has had at managerial level, combined with the relatively short time some of the players have been here, is Walsh attracting a little bit too much culpability? Do we know precisely what Walsh’s role is and how much trust is given to his judgement? How much say so or trust is placed with Walsh when it comes to pricing up and pushing through potentially costly deals? Is Walsh’s recruitment actually a legitimate reason for such a poor season? A major contributing factor, according to Allardyce, is the consistency levels of the players. But where do they find consistency at a club like 2017-18 Everton? We have wildly varying team selections from game to game, no settled gameplan and are on our 3rd manager of the season. Unsworth may only have been caretaker but it was quite clear he had the opportunity to make the job his for a longer spell. The likes of Klassen, Vlasic and Sandro already have the difficulty of adjusting to a new club, new league and new country without that as well. Under such rudderless uncertaintly are they supposed to adapt quicker than Mahrez and Vardy managed but do so at a higher level? Or are they genuinely poor buys by Walsh? There are the signings with established Premier League experience who you’d think should adapt better of course even with the upheavals. Walsh’s first window saw us go for the likes of Gana Gueye. It was an underwhelming signing on the face of it but the Senegalese dynamo took us all by surprise, was a stand-out performer and was seen as an early example of what Walsh could bring. Bolassie was a big signing who (still) divides opinion but suffered a bad injury and was out for the season and Williams was maybe perceived as a very adequate stop-gap while the DOF got his feet under the table…so much for that. Morgan Schneiderlin also came to Merseyside in January but I think we can assume RonKo was the lead on that signing so it’s maybe less relevant to the Walsh issue. A solid first season followed for Koeman’s merry men and it all seemed quite rosy. We weren’t gonna sweep the league aside but there was a sense of purpose and the right direction. And then came the initially optimism inducing Summer transfer window of 2017. I’ve already mentioned the signings from other abroad so onto the other signings in that window. The first few performances from Michael Keane suggested a very good signing, but something is going drastically wrong for him during his Everton spell. Jordan Pickford is arguably one of the best signings we’ve made in years and will hopefully continue to do well for years to come. All the headlines were around Gylfi Sigurdsson and Wayne Rooney. Players with obvious quality and while Rooney brings a few question marks he also brings a wealth of winning experience and while sceptical I was more than willing to hope for the best as our boy wonder finally came home. Sigurdsson’s move turned into a soap opera with the price a particular talking point in the press and a sticking point for the clubs involved. Who was arguing for so long over the £5M-10M or whatever the difference was? Another reason to wonder exactly how much say our DoF has in actually directing football related stuff. Both have been moved around, switched and dropped with no apparent long term tactical plan which you feel should tie in with recruitment. Walsh’s fault again or is there a problem with too many people pulling in different directions? There was another signing that summer as well. Rather peculiar it was as well. Given it was likely that 33 year old Leighton Baines might not be fit to play 90 minutes in every game in a Europa League season there was an obvious need for cover or preferably competition at LB. Was it Walsh’s decision not to register Garbutt, send Galloway out on loan and muddle along playing Southampton’s unwanted third choice right-back at left-back? I certainly don’t know but I’m confident in saying that Koeman might have had something to say about it. It’s definitely had a detrimental impact on our performances this season. For all we know Walsh could have presented a list of LB’s as lengthy, well structured and ultimately flexible as Big Sam’s cummerbund would have to be. It would be bizzare and condemning if a man with so much scouting experience couldn’t find a target or two in a critical position. Is the right player already lined up for this coming summer who for one reason or another couldn’t come in January or the start of the season? Was there a reluctance to throw money at a temporary fix given this season being written off? Is Cuco himself considered to be that temporary fix? Are the same people who turned the Sigurdsson deal into an Icelandic saga stopping a LB deal getting done? On a positive note we also shouldn’t forget that signings have been made with an eye on the future. There’s much wailing over the move of Ademola Lookman on loan to Leipzig which would suggest many rate him as a good signing. Dominic Calvert-Lewin is a very low cost signing who has come to the first team earlier than expected and shown signs of further promise way beyond his sub £1.5-2M price tag. Do we ignore these because they don’t fit the “Walsh Out” shout? Walsh has also been at the club while there have been less notable U23 signings such as Nathan Markelo, Henry Onyekuru, Boris Mathis, Josh Bowler, Lewis Gibson and Dennis Adeniran who all came in for around £10M combined give or take an undisclosed fee or three. How do these players ultimately pan out? It’s still very early for them and if just one goes on to do well it’s very little money very well spent. So, has Walsh failed in his role? Has Walsh himself been failed by others? Or is it all a longer term project with the inevitable bumps in the track along the way? Whatever the reason for the failings in the January window it has been and gone. There’s a couple of new bottles on the shelf but it’s Big Sam behind the bar and he really doesn’t look like he’ll be serving up any new drinks. He’s sticking with what he’s familiar with. Salt, gravy and then the lemon.